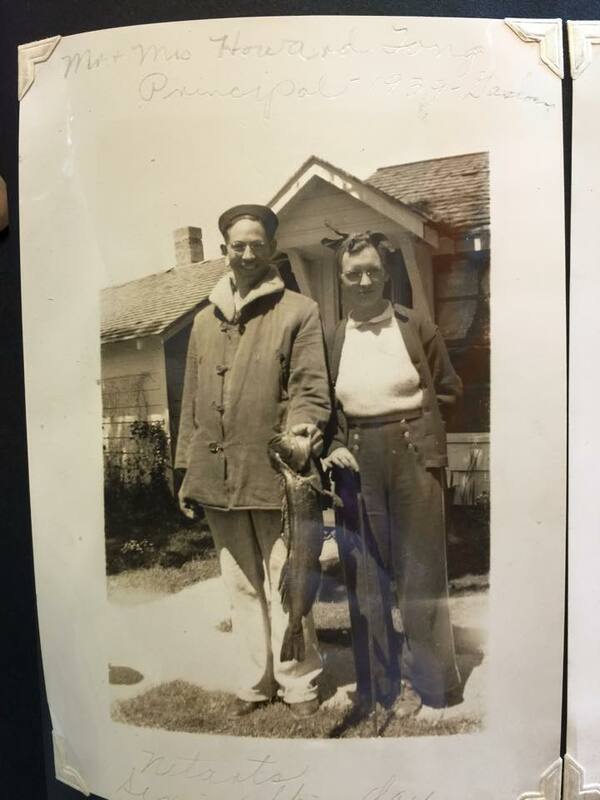 Our saga of Howard Tong begins after he caught a fish at the Oregon Coast in 1939. It ends in murder in 1972. Along the way, it includes a tangled web of tragedy, lawsuits, mystery, and insanity. Actually, let’s back up a few years and begin our story in 1931 at Oregon State University, where fraternity boy Howard Tong proposed to his college sweetheart, Gwendolyn Morgan. Within a year, they welcomed a daughter, Carolyn, joined a year later by another baby, Delores. 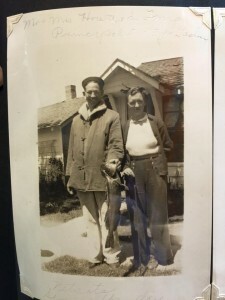 Howard and Gwen Tong, 1939. Howard’s teaching career blossomed despite the Great Depression, and by 1938 he was principal of the high school in Gaston, but life was not all rosy in the Tong house on Second Street, near the school. Public school teachers didn’t make much in small-town Oregon. With a salary of a little more than $1,000 a year, and with only about $500 in assets, the young family was burdened with $3,300 of debt, and filed for bankruptcy. Bankruptcy would prove to be the least of the Tongs’ problems in 1938, however, as 5-year-old Delores died. Ken Bilderback at Sain Creek inlet to Henry Hagg Lake, October 7, 2014. I don’t believe in ghosts, but I am haunted by the image of a 3-year-old child, lying on the banks of Henry Hagg Lake, receiving frantic CPR by volunteer firefighters. Michael Medill will not face charges for posting warning signs at Henry Hagg Lake. Or maybe he will. It sort of all depends on the mood of bureaucrats on any given day. Leadership and cowardice. Only one label is appropriate in Hagg Lake fiasco. An open letter to Bob Davis and Pat Garrett. Dropping the charges against a man arrested for bolting cardboard warning signs at Henry Hagg Lake was a good start. Putting up permanent, albeit inadequate and misleading, warning signs is another good step. But public outrage over the tragedies at Scoggins Valley Park, and the County’s incompetent response and subsequent cover-up, should be just beginning. After two weeks of Washington County spokespeople offering statements that have been convoluted, contradictory and in some case just mean-spirited, head communications honcho Phil Bransford shows how it’s done. He’s forthright, and even acknowledges that Michael Medill’s civil disobedience spurred the county into faster action because of the negative publicity commissioners were getting. I hope that his good work doesn’t cost him his job, because his bosses have been denying that. Read an updated post here. Another update: The man who placed the warning signs is facing a $5,000 fine.